Joe Biden Regrets How Anita Hill Was Treated [VIDEO] - Joe.My.God. Former Vice President Joe Biden regrets how Anita Hill was treated 27 years ago and hopes the same thing doesn’t happen to Christine Blasey Ford. 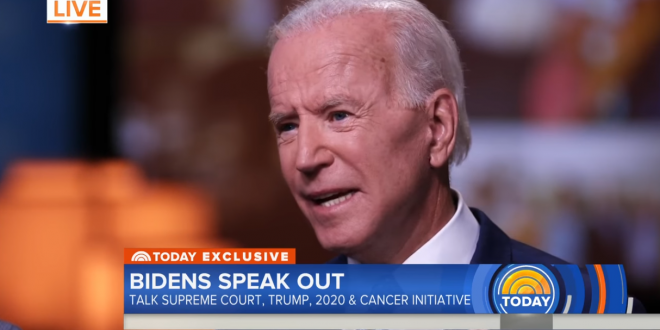 “What should happen is the woman should be given the benefit of the doubt and not be, you know, abused again by the system,” Biden told NBC’s “Today” show in an interview broadcast Friday. Biden spoke as Ford and her attorney negotiate possible testimony before the Senate Judiciary Committee about her allegations that Supreme Court nominee Brett Kavanaugh assaulted her at a high school party when they were teenagers. Biden said the FBI should investigate Ford’s accusations against Kavanaugh – “we did that for Anita Hill” – and that the Senate should not proceed with votes on the nominee until Ford testifies. Hill has long been critical of Biden’s approach to the hearings and earlier this week, said she has yet to receive a direct apology from the former vice president. “He owes all of us an apology,” Hill told the Boston Globe.